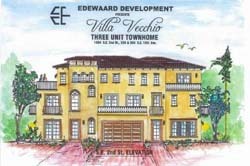 Extremely high-end Mediterranean townhome built by C. Craig Edewaard. Custom finishes to be determined by the buyer with custom changes allowed. Located in the heart of Las Olas. Includes wood or stone flooring, high-end appliances, a private pool, impact windows & doors, and an elevator.